Very short Reading Digest this week on account of the fact that there’s always a lull at this time of year because people with more sense than me are outside and away from their keyboards. 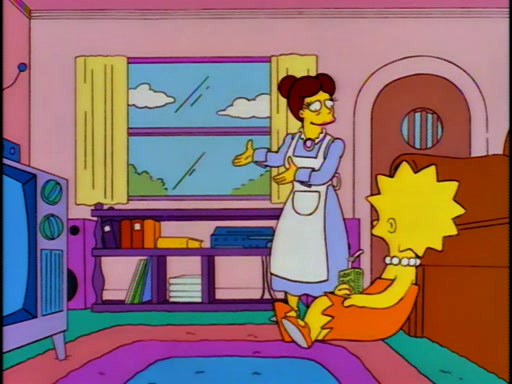 We do have some love for Season 2, some extremely crappy merchandise, some excellent usage, some more Bart art, and an Icelandic Homer, so it’s not all bad. The Dark Past Of Your Favorite Cartoon Characters And More… – This only mentions the show in passing, but it’s a great collection (complete with lots of YouTube) of the smoking, drinking, and wildly racists past of such favorites as Donald Duck and Bugs Bunny. 10 Simpsons mash-ups will make you smile – Some more excellent Bart art from that show a couple weeks ago. Bart as Spike Lee from Do the Right Thing is spot on. 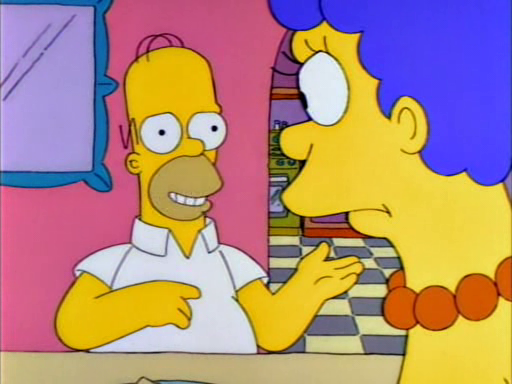 Homer actually says, “Come, family, sit in the snow with Daddy,” first, but the rest of the quote is dead on. 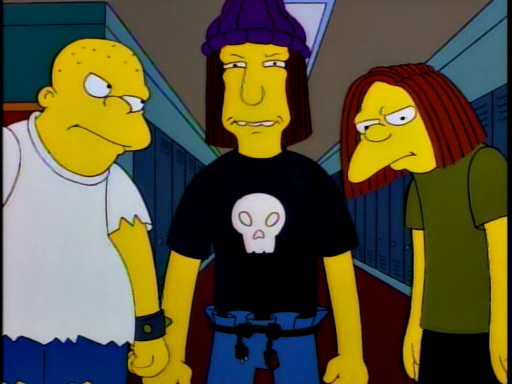 Okily Dokily and The History of Simpsons Inspired Bands – A list of some Simpsons named bands, some famous, some not. I’d see a band called “The Speedholes”. 5 top pacts with the devil in literature – “The Devil and Homer Simpson” makes this Faust heavy list, but “The Devil and Daniel Webster” does not. Score one for television. Hollywood has gotten more thesaurus-y in pitching these projects: companion series, expansion, reimagining, “palate cleanser.” And doesn’t “spin-off” sound wrong, classless, shamefully capitalistic? 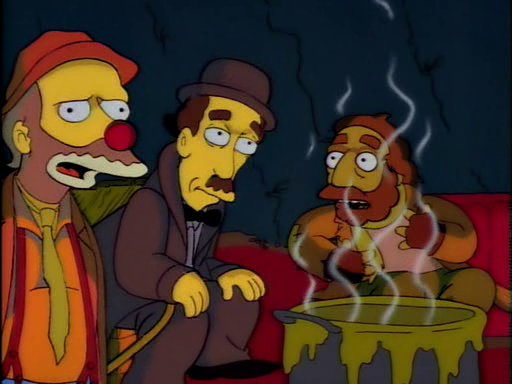 But we shouldn’t kid ourselves: The de facto Hollywood playbook right now is The Simpsons Spin-Off Showcase, except now it’s The Simpsons Cinematic Universe. 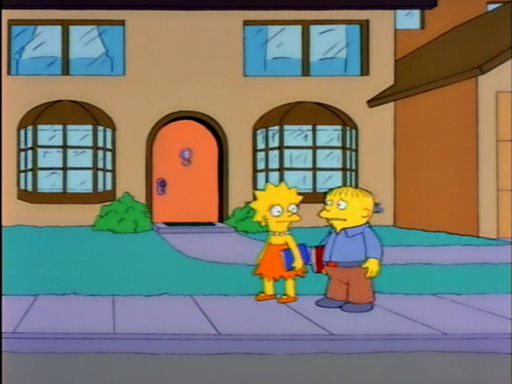 128th-Final, Round 12: Bart Gets an “F” vs. Homer the Vigilante – Oof, that’s tough. 128th-Final, Round 13: Lost Our Lisa vs. The Front – This, however, is a very easy one. 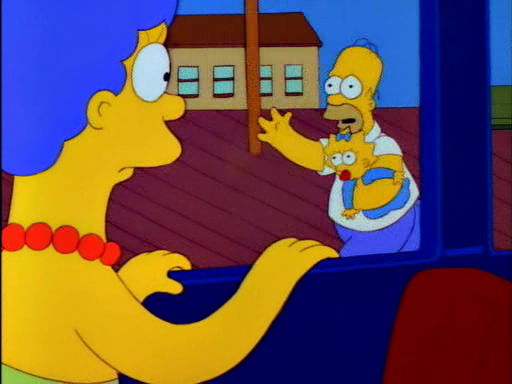 Homer then mocks the letter endlessly with the family, especially the fact that Ned used the word “bosom” several times. 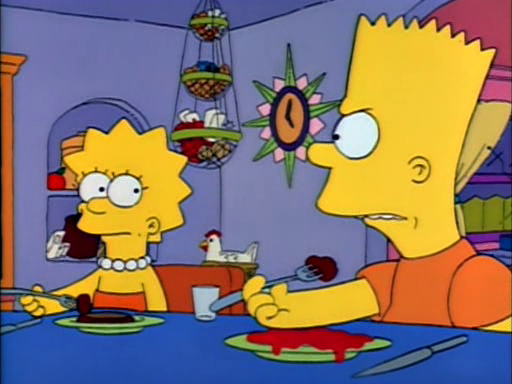 I love that the other kids in school give Bart sympathy for not getting to watch Itchy and Scratchy anymore. There were kids in school growing up that didn’t get to watch TV, and everyone treated them like they were bereaved. 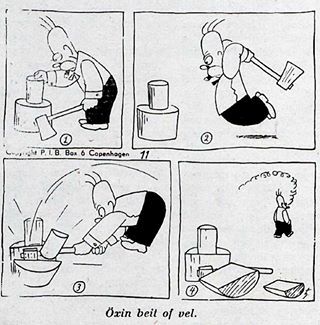 Gr8at: Visual Jokes from The Simpsons – Heh, “Make a List”. Bart Simpson Dart Board – Even by the usually low Krusty Brand Seal of Approval merchandise standards, this one is piss poor. It’s just Homer and Bart painted on the outside of a crappy looking electronic dart board. LEGO The SIMPSONS Minifigures SERIES 2! – YouTube of blind bags of Simpsons legos being opened. An eye-catching offering is The Simpsons Backstage Tour with The Simpsons long-time writer and producer Mike Reiss, which includes secrets, rarely seen footage and gossip, on some of the 300 celebrities who appeared over the years. This will be an afternoon show in the Town Hall Theatre followed by a Q & A session. Ay Caramba! – Famous interjections, one of which was popularized by Bart. New trending GIF tagged television the simpsons cats… – Nothing but cats. The cone of ignorance (Simpsons) – Heh.